PWM library is used to generate PWM output on Toradex module. 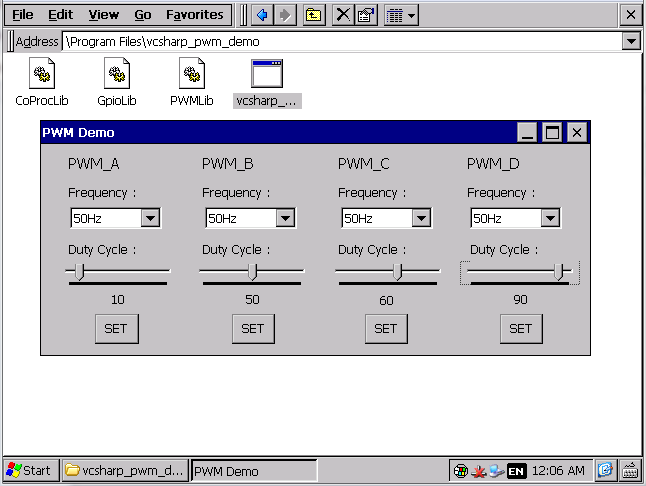 We provide free Windows CE library for PWM including demo source code here. 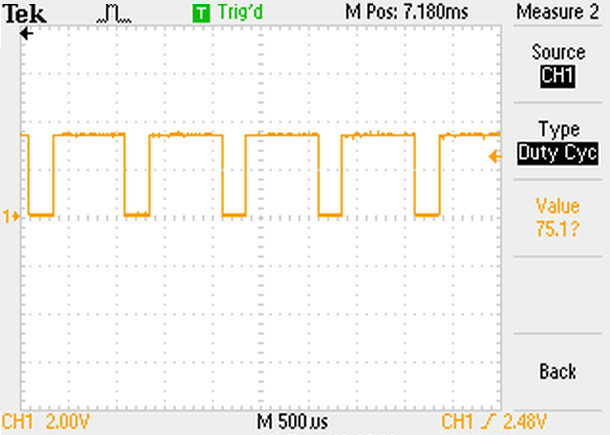 PWM Channel 1 for PXA3xx (PXA320, PXA310, PXA300) is available on multiplexed GPIO pin of SODIMM Pin 152. On Colibri Evaluation Board V3.1A, SODIMM Pin 152 is available at B7 of X3 (User extension). On Iris Carrier Board V1.1, SODIMM Pin 152 is connected to PWM_D line through a not DNP 0E resistor (R110). Please refer Iris schematic. To access the PWM channel 1 available on the multiplexed GPIO pin, set the alternate function of other GPIO to 0x07 (tristate). On VFxx PWM1/PWM_A and PWM3/PWM_C is using same PWM controller i.e FTM controller 0 and PWM2/PWM_B and PWM4/PWM_D using FTM controller 1 due to this configuring PWM 1 result same configuration for PWM3 similarly for PWM 2 and PWM 4. 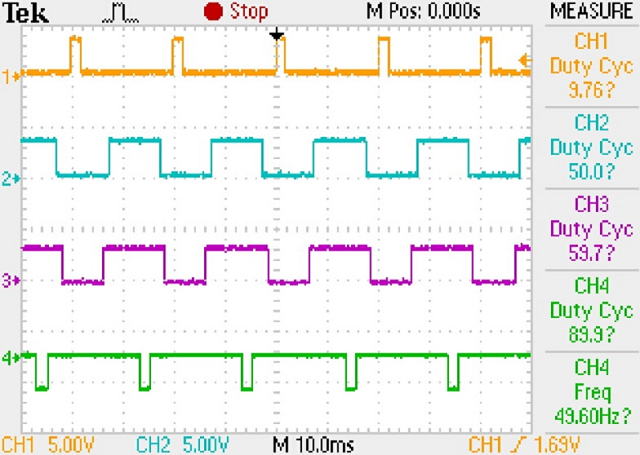 This application demonstrates the use of PWM library to generate PWM signal of user-defined frequency and duty cycle.